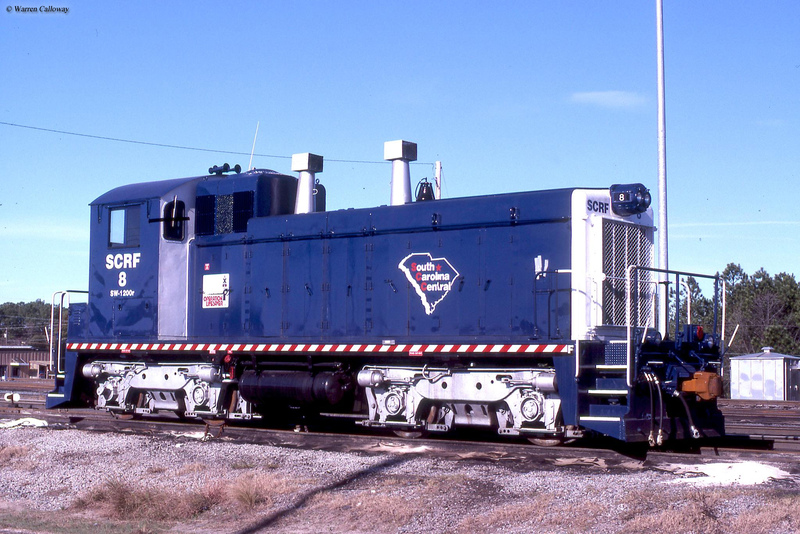 The South Carolina Central Railroad (SCRF), a Genesee & Wyoming property, is a small short line that is headquartered in Darlington, South Carolina on original Atlantic Coast Line and Seaboard Air Line trackage with a system that now stretches just over 50 route miles in length. The history of these lines dates back more than 100 years and in some ways it is perhaps surprising that they survived after the turbulent years of the 1970s and 1980s. 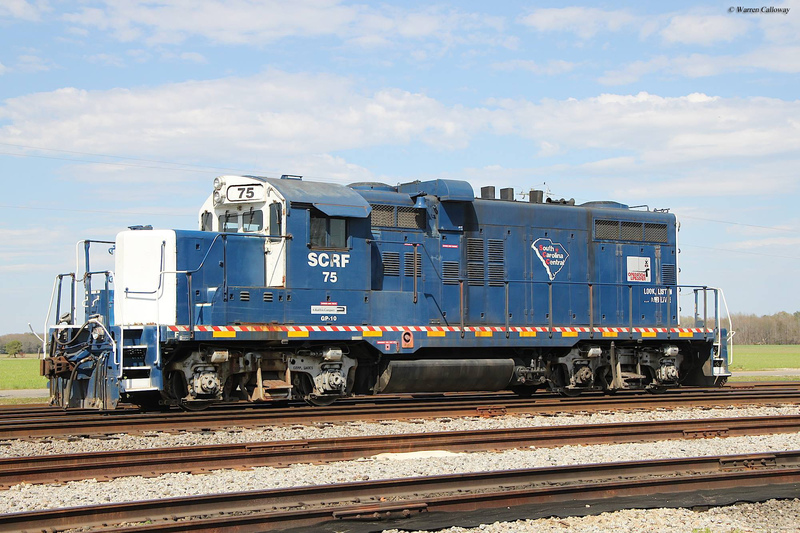 While the SCRF operates over two branches which are unconnected it does have interchanges with CSX along both lines. The South Carolina Central does not have an extensive customer base but does have a diverse traffic base, as it carries everything from trash to chemicals. Due to the significant amount of traffic the railroad now handles the future of this short line looks very promising. 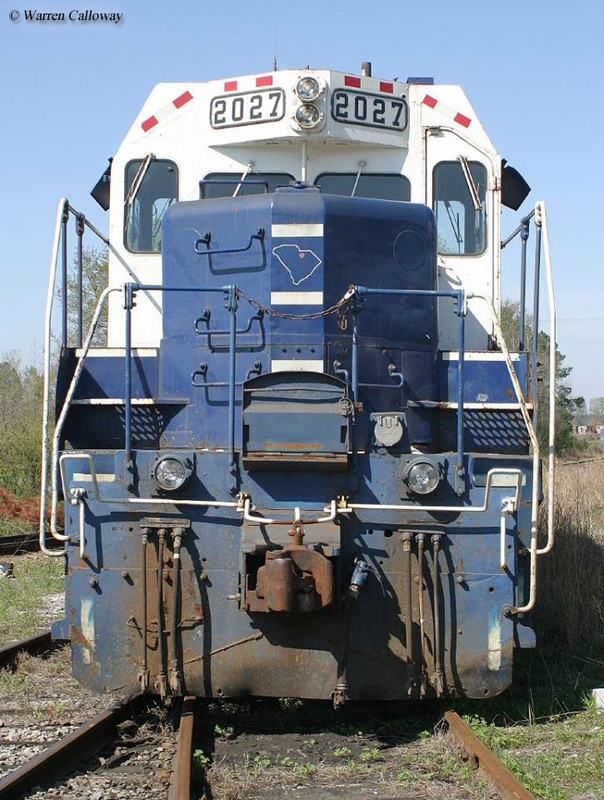 The South Carolina Central Railroad dates back to 1987 when CSX Transportation was interested in shedding low-density branch lines all across its system massive eastern system. 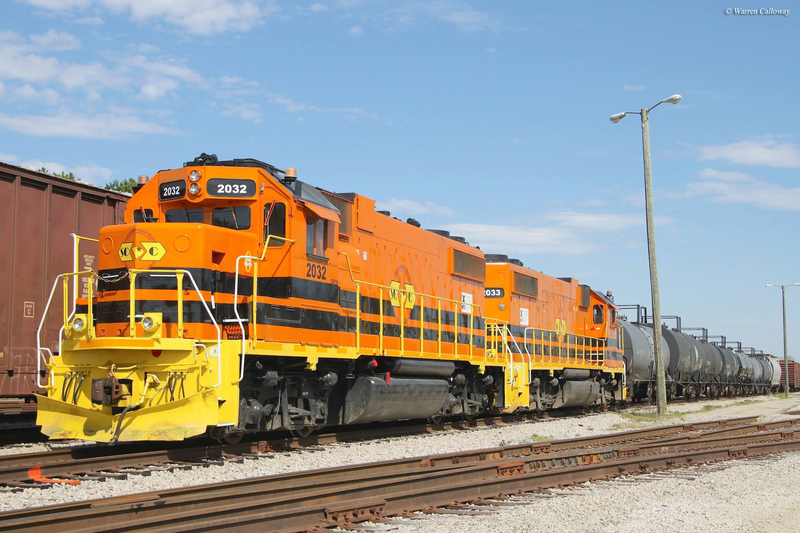 Looking to diversify its holdings, shortline specialist RailTex (which had a history dating back to 1977) stepped and purchased the trackage naming the new railroad the South Carolina Central. This track, located in the northern part of the state, consisted of two primary lines; one between Society Hill and Cheraw, and another much larger line between Florence and Bishopville. The shorter section of track was the oldest constructed, dating back to the Cheraw & Darlington Railroad. The C&D was chartered in 1849 to connect its namesake cities and with strong financial backing had completed its main line between the two towns by 1853. The company was severely damaged by the Civil War although a few years after the war had ended it rebuilt its entire line and extended it as far south as Florence, giving it a system covering 38.4 miles according to a later Seaboard Coast Line timetable. By 1892 the railroad had reached Wadesboro, North Carolina after it acquired the Cheraw & Salisbury Railroad. This gave the C&D a line stretching exactly 63.0 miles and by 1898 it came under the control of the Atlantic Coast Line Railroad. After the ACL had merged with the Seaboard Air Line the entire line between Florence and Wadesboro remained in operation although it was later abandoned between Floyd and Society Hill (a section of line totaling 11.7 miles in length), and between Wadesboro and Cheraw (this section totaled 24.6 miles in length). As for the second, larger section of track it also has components of original ACL trackage, with the rest former SAL property. The section of line between Floyd and Hartsville was constructed by the Hartsville Railroad in 1889, meant to connect the Hartsville with the C&D and totaled exactly 10.0 miles in length. The C&D purchased the railroad in 1895 before, again, it came under the control of the ACL a few years later. Finally, the only section of original SAL trackage runs between Bishopville and Hartsville and totals exactly 16.7 miles in length according to the SAL's official timetable. In all, after the abandonments the South Carolina Central Railroad operates a system stretching 53.4 miles in length today (its system offers more than 120 miles of active railroad although I can only guess that this includes all sidings and spurs). In any event, after operating the SCRF for 13 years RailTex was purchased by RailAmerica, Inc. (itself an operator of numerous shortlines) in February of 2000 giving it a handful of new railroads. The road again changed hands in July of 2012 when Genesee & Wyoming bought out RailAmerica. 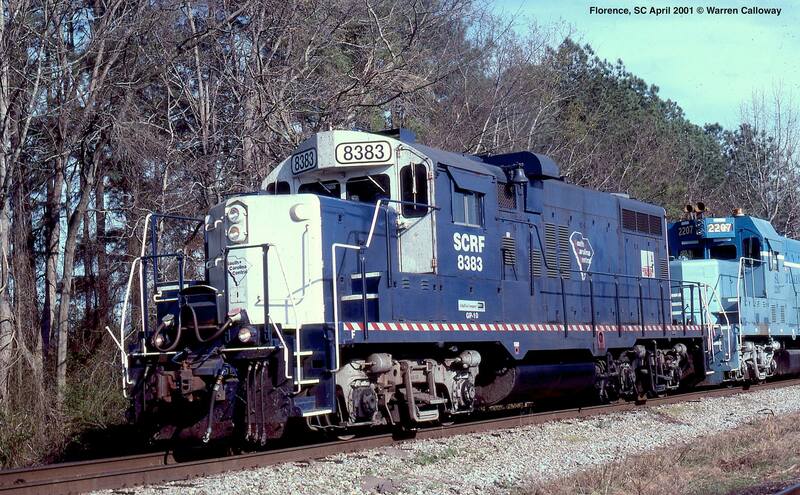 Today, the SCRF has two connections to CSX, one at Florence and the other at Cheraw.